Bonsai trees require proper bonsai tools for pruning, cutting and trimming. These tools will not only help you get the desired shape of the tree but also make your job a lot easier and enjoyable. 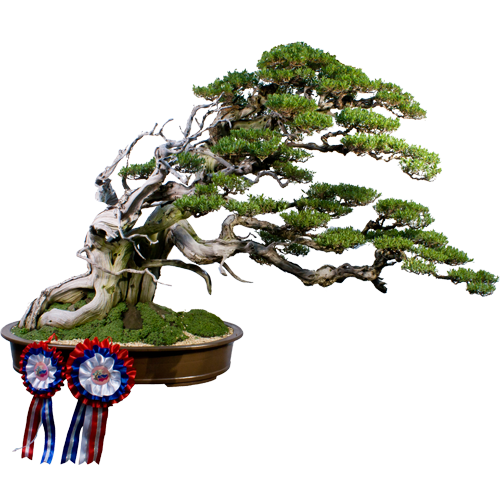 Since bonsai trees are grown for decorative and recreational purposes, the risk of using ordinary tools for the pruning cannot be taken because the substandard, conventional pruning tools can damage your bonsai tree in some way or another. The pruning tools have to very sharp and edgy so you can cut the unwanted branches and shrubs gently without any hustle. The sharp tools will give your tree a neat and tidy look. Blunt blades, on the other hand, can leave ragged wounds on your tree or may cause to rip or tear a beautiful branch. The pruning tools have to be cleaned properly to prevent the outburst of diseases. The pruning tools have to be cleaned properly to prevent the outburst of diseases. When you use the same pruning tools for all the bonsai trees grown in your house, there are chances that they may catch up a disease from an affected tree and transfer it to another one. Therefore, clean and shiny tools are imperative for a healthy and prosperous bonsai tree. The regular cleaning of the tool is also necessary for the shelf life of the tool itself. A clean tool will last for many more years than an average poorly maintained tool. For the maintenance of a bonsai tree, special kind of tools are needed but they are not difficult to acquire. You can buy them easily from your near gardening center or nurseries. The following are the essential tools you will require to maintain your bonsai tree. Pruning scissors are generally used for cutting small branches, shrubs or twigs. Use only those pruning scissors which require less pressure to cut and do not cause hand fatigue. Ideally, you need such sort of pruning scissor that can cut a twig in one go rather than in few steps. Note: clean your pruning scissor regularly after every use if you want to make it usable for a long time and do not attempt to cut tough branches with these pruning scissors. Concave and knob cutters are designed to cut tough or hard branches of bonsai tree. Concave cutter comes in many sizes and variations but generally it is the medium sized cutter that is used for removing hard and close to the trunk branches. Do not use concave cutter to cut wires around the bonsai tree, it will immediately blunt it affect its functioning. Use the proper wire cutters advertised below. They are meant for cutting wires. Wires are used to maintain the shape of bonsai tree. If you want to remove a wire from any branch or the trunk, use a special tool called bonsai wire cutter for this purpose. This cutter will help you unwind your wire smoothly without damaging the tree. You dont want to leave ugly scars on your plant by not removing the wire properly! These wire cutters do a great job with helping you avoid that. They are cheap and effective, so get yourself a pair of these wire cutters. Bonsai root rake is a tool required to loosen up the soil around the root. It ensures that tree is absorbing food easily without any hindrance. These root rakes are mostly available in either 2 or 3 rounded edges. You can choose any of them depending on your need and preference. They all serve the same purpose, the one in the image advertised here is stainless steel root rake, so it will last longer. Having a tool kit at your disposal will make your job a lot easier. When all of your bonsai tools are in a same place, you will feel a bit more relaxed and stress free. The process of pruning or trimming will also become quicker when your all tools are placed in a single kit. This is especially important if you have a number of bonsai trees to prune. Do yourself a favour and get the whole kit. It will save you time and money in the long run.